It's amazing to see how much skinnier they are then their rocky mountain and winter counter parts. 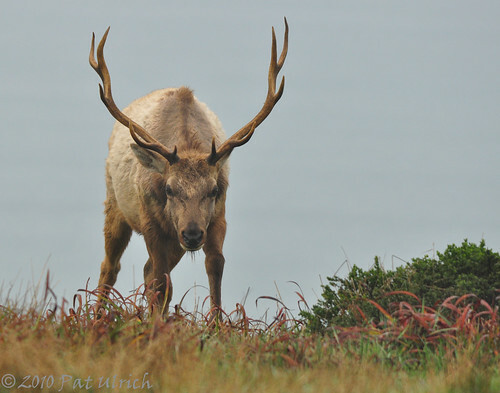 Still packing those impressive antlers though! Must be awesome to photograph them in a warmer climate, haha. Great captures. I always love getting the ones with their tounges out. Sure looks like they are always looking for their nose though :-p You can really see the difference in the shapelyness of their antlers too. All the best. Thanks, Jarred! 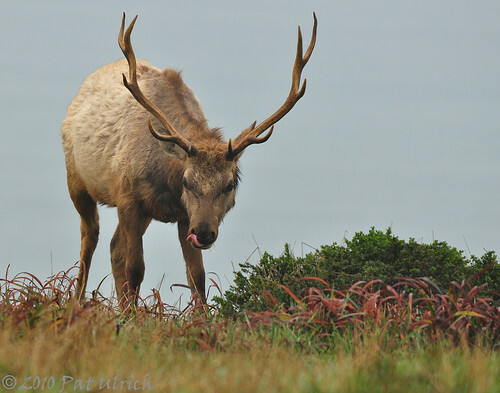 these guys are considerably smaller than those of the rocky mountains -- the tule elk subspecies, which is native only to central California, is the smallest of the recognized elk subspecies. I really feel like I'm at the ocean with these shots. There is alot of mood.